On the Picardy coastline, Fort-Mahon-Plage is a pleasant destination perfect for water activities, yachting or swimming, according to your taste. At the seaside, you will find unspoilt dunes and a long sandy beach. The nearby Authie Bay is a nature reserve where you can see migratory birds. 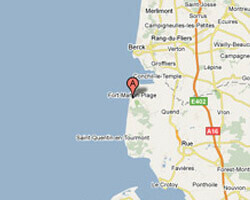 In Fort-Mahon-Plage enjoy a seaview holiday rental. 3 rooms apartment 61sq. m facing the sea (10m). balcony with outdoor furniture. Shops : 100m. bikes available. 2 Bedroom(s), 3 double bed(s). short stays possibility. Final cleaning : 60 €. 3 rooms apartment 48m2, 2006. balcony. Studio Apartment 1 room 25m2, 30m from the beach, in a new résidence récente "les pies de mer". balcony. Outstanding! 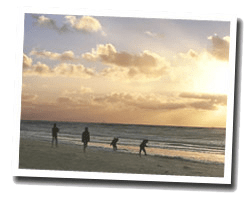 Ideal for rest and relaxation, enjoy a closer view of the sea and a very large sandy beach 10 km long and 1 km wide at low tide, where you can enjoy water activities. Price from 590 € to 1190 €.